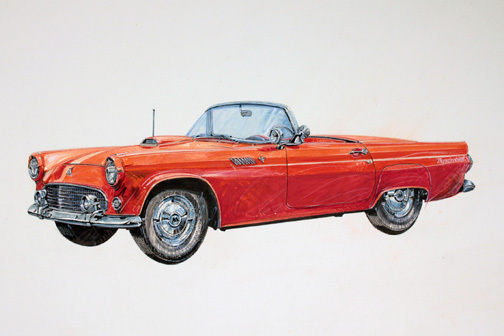 “1955 Ford Hardtop Thunderbird” by Jerome Biederman. Detroit Historical Society. The above image is from the Detroit Historical Society’s collection of Biederman prints. They are all available for custom reproduction through RequestAPrint. After graduating from the American Academy of Art in Chicago, he entered the advertising world where he did almost everything except illustration. By 1940, he chose to leave the corporate advertising world and return to the creative atmosphere of a studio. For many years, Biederman’s steadiest assignments and commissions came from calendar companies. His work appeared regularly in Automobile Quarterly, Horseless Carriage Gazette and other magazines. Before Biederman passed away in 1996, he donated many of his illustrations to the Detroit Historical Society’s collection. To see more of Jerome Biederman’s work visit the RequestAPrint gallery. Father Gregory Gerrer, a monk of St. Gregory’s Abbey in Shawnee, Oklahoma, achieved an international reputation as an artist, curator, and collector of art. Born Robert Francis Xavier Gerrer on July 23, 1867, in France in the Alsatian village of Lautenbach, during the Franco-Prussian War of 1870–71 he immigrated with his family to the United States. They settled in Bedford, Iowa. As a youth he displayed a talent for art and music, taking various jobs as a musician. Upon learning of a land opening in Oklahoma Territory in 1891, he traveled to Guthrie. In December he visited the community of Benedictine monks at Sacred Heart Mission, located in the southern part of present Pottawatomie County. He remained there and entered the novitiate in January 1892, taking the name Gregory. Get the above piece and many more by Fr. Gregory Gerrer as a custom reproduction through RequestAPrint. After being ordained to the priesthood in 1900, Gerrer traveled to Rome to study art. During this time he developed a reputation for portraiture. In 1904 he painted a portrait of the recently elected Pope Pius X (canonized 1954). 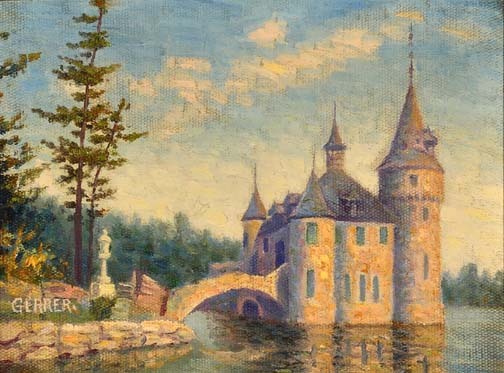 Gerrer entered the painting in the 1904 World’s Fair at St. Louis, and it won a bronze medal. The original of this signature work is exhibited in the Mabee-Gerrer Museum of Art on the campus of St. Gregory’s University in Shawnee. Gerrer returned to the United States in 1904 and taught at Sacred Heart and at St. Gregory’s, after the Benedictine community moved to Shawnee. Beginning in 1917 he spent fifteen years as a faculty member and curator at the University of Notre Dame in South Bend, Indiana. He then returned to St. Gregory’s Abbey and resumed his teaching duties. 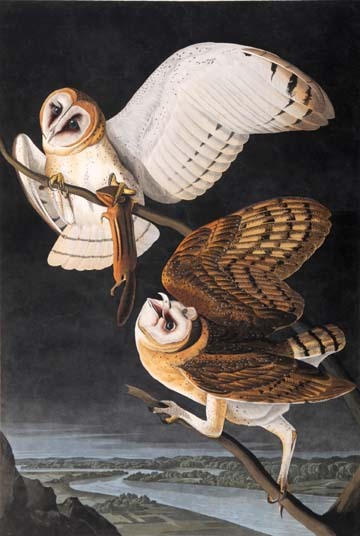 He also continued to paint, both for income and to barter for artistic works and anthropological objects. Throughout his career he collected the art and artifacts that became the nucleus for the Mabee-Gerrer Museum of Art. He was cofounder and first president of the Association of Oklahoma Artists. In 1931 Gerrer was inducted into the Oklahoma Hall of Fame. He died on August 24, 1946. See the whole gallery of pieces by Fr. Gregory Gerrer on RequestAPrint. Childe Hassam was a leading American impressionist painter and printmaker. The son of a prosperous hardware merchant and antique collector, Hassam (christened Frederick Childe Hassam) was born in 1859 near Boston. In 1872 a great fire in Boston destroyed his father’s business, forcing Hassam to leave school. He found a job with a publishing firm, but having little talent for business, he began work as an apprentice to a wood engraver and later created illustrations for such magazines as Harper’s and The Century. Between 1877 and 1879, Hassam attended evening classes at the Boston Art Club, studied briefly with William Rimmer at the Lowell Institute, and also took private painting lessons. 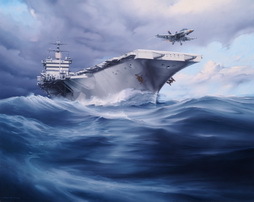 The piece above is available for custom reproduction through the Florence Griswold Museum’s RequestAPrint site. At the age of twenty-four, Hassam visited Great Britain and the European Continent for two months. In 1886 he moved to Paris, where he studied at the conservative art school, Académie Julian. Hassam was attracted to French Impressionism, however, and readily absorbed elements of the avant-garde style. 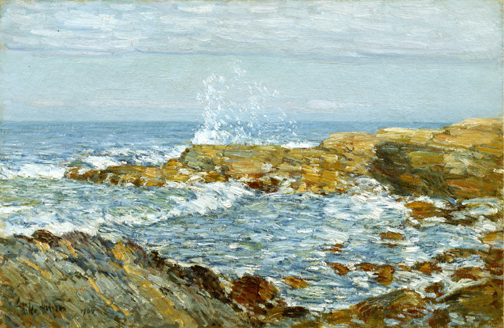 Hassam returned to the United States in 1889, moving from Boston to New York. Integrating his understanding of impressionism with his own tendency toward clear compositional structure and forms, he painted many views of the city. Noted for their light impressionist colors, quick brushstrokes, and also their solidity, his city views were well received, and he became known as one of the leading American impressionists. Hassam was able to return to Europe twice between 1897 and 1910, visiting Pont-Aven, where many Post-Impressionists had painted, and, on his last trip, southern Spain. In late 1897, he withdrew from the Society of American Artists and co-founded the Ten American Painters with fellow American Impressionists J. Alden Weirand John Twachtman. In 1915, influenced in part by the work of his friend Weir, Hassam began experimenting with etching and, two years later, lithography. In 1920, having summered at various seaside resorts since 1882, he established a permanent summer studio in East Hampton, Long Island. During the remaining fifteen years of his life, Hassam continued to exhibit regularly, enjoying national recognition and receiving numerous awards and honors. Visit the RequestAPrint gallery page for the featured piece to see learn more on purchasing your own reproduction of this piece and many more!